Last Sunday while all the attention was on the Grand Prix there was another event going on in a the small town of Šlapanice u Brna about ten kilometers South- East from Brno. Less known, less noisy but not less interesting if you want to learn something about Czech traditions. 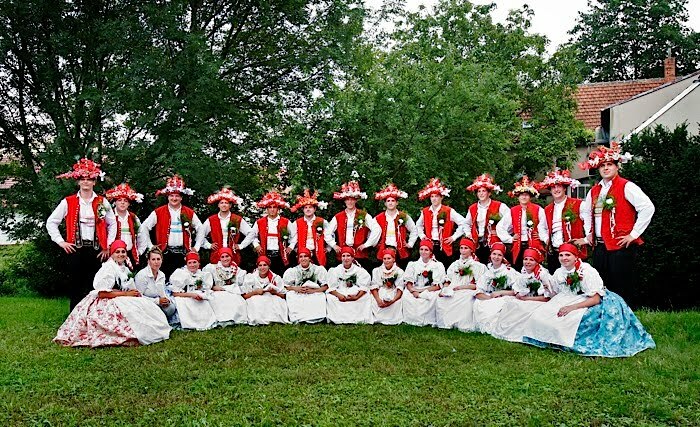 The festival called Šlapanické slavnosti is one of the many that almost all the villages around the city of Brno have to celebrate its anniversary during the year. This one in particular have a long tradition that started on August 1932. It consisted of a traditional parade where was possible see young and old couples walk trough the streets, dressed in traditional clothes, each male carrying a jar full of wine to drink and share with the spectators while singing old traditional songs. The parade will continued till the central park where they danced in groups and interacted with the assistants. The major gave then a short speech and the party continued till night.